Still recovering from being sick and forced to go to Wal-Mart to buy a couple of other items, I decided to pick something up for dinner. The easier the better-- plus I was feeling Italian. 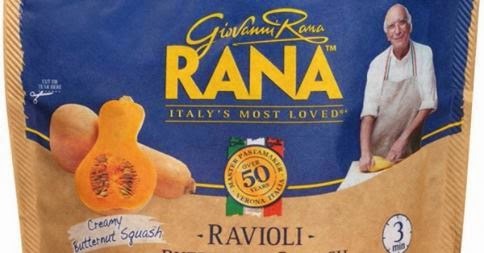 The cold (not frozen) section had a small selection of Giovanni Rana raviolis and tortellini. I picked the butternut squash ravioli and a can of marinara sauce with some flaked Parmesan cheese. Holy Mess.. I may or may not have polished off the entire "family size" by myself. Sorry, not sorry. Put the ravioli in boiling water for about 5 minutes. On the side, warm up about half a container of marinara. Put the sauce on as desired along with Parmesean. Now that is my kind of cooking. Plus, look how adorable Giovanni Rana is. 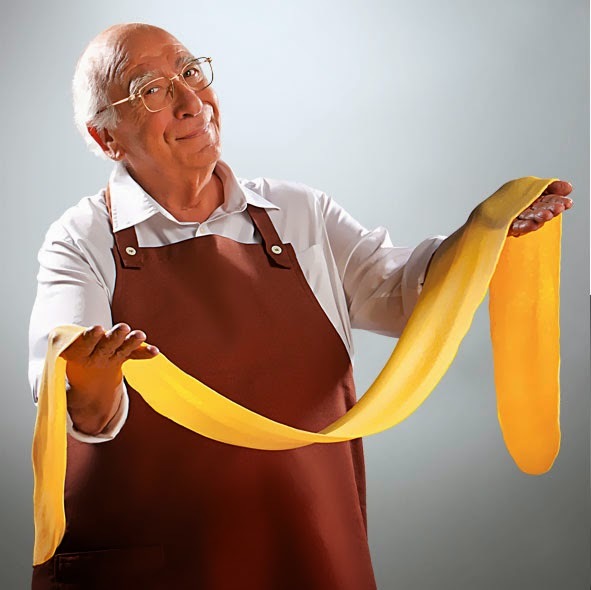 Now that is who I want making my ravioli. I bet he has classic Italian music playing in his kitchen when he cooks.